This super cocktail set has a macassar wood base with a macassar wood holder for the 6 silver and red bakelite cocktail sticks. 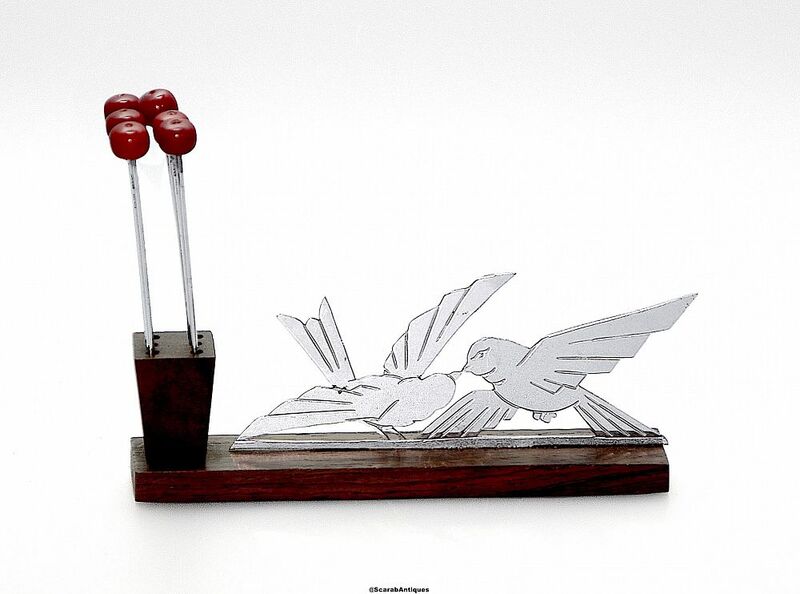 On the plinth is a chrome metal plate depicting two "kissing birds. The cocktail sticks are hallmarked for Birmingham & 1932. The cocktail sticks are associated as although made during the same period as the holder, the macassar wood holder is probably French rather than English.